Do you want to release stress and paint with numbers? Want to see some sparkles of glitter? the most amazing glitter coloring game all over the world for everyone, with hundreds of coloring pages updating every day! Want to forget about your daily problems for a while? Glitter color by number is just what you need. 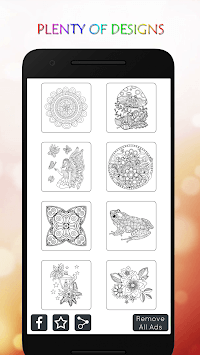 You will also find so many free and fascinating pictures in this number coloring book like mandalas, animals, colorful flowers, animals, birds, princess, fruits and many more colorful attractive coloring pages. We can proudly say that this app is best among apps for girls, adults and kids. Sandbox pages coloring can never been so easier and attractive! Share your artworks with family and friends, become an expert painter anywhere at any time! Glitter number coloring is a fun way of relaxing, you can release stress and ease yourself by number coloring on multiple pages. 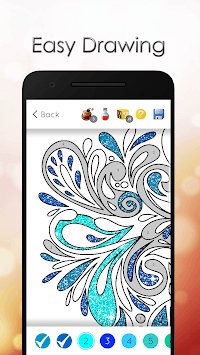 When you feel upset or disappointed, you can open this glitter color by number app to calm down. Great way to kill time and have fun! Hundreds of glitter pixelify pictures are all free! And more updates on daily basis! What if you have no any art skill? Simple and very easy to paint, don't worry if you’re not good at art drawing. You just need to follow the numbers in portions of images, and there is a special color palette suggests what kind of color does each number corresponds to. Try it now! 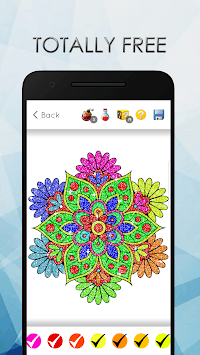 There is no need of internet connection to start the coloring game, color to relax and be creative, you can color and recolor whether online or offline. 1) new pictures updating on daily basis! 2) Free: yes, all artwork is free. 3) Easy to color: special color palette, color drop in the same numbers’ blocks. 4) No need of internet connection to play. 5) Instant Sharing: post your artworks on all social networks (Instagram, Facebook, Snapchat and so on). 7) Flood fill: fill all area of same color at once. 8) Hints: Get hints to see which areas are unfilled. 9) Custom Color: paint pictures by your own colors. Variety of colors express your different mood and feelings, reveal your inner artist to world by sharing. The most popular glitter color by number so let’s try it!